You know where you get up your pants? The pants length depends on the style and the type of shoes that you are going to use. In addition, you should also consider your body type. 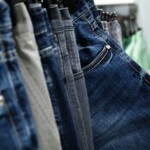 Below we will share some tips so that you bear in mind at the time of choosing the length of your pants. 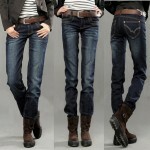 Boot cut pants: These are fully tailored to the leg, must end in the vicinity of the ankle or just below this. 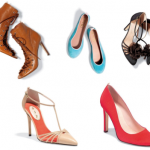 Although this style can be combined with virtually any style of shoes, you should wear heels if you are short and that is so tight and end near the ankle area, visually tend to make you look even shorter or plump. 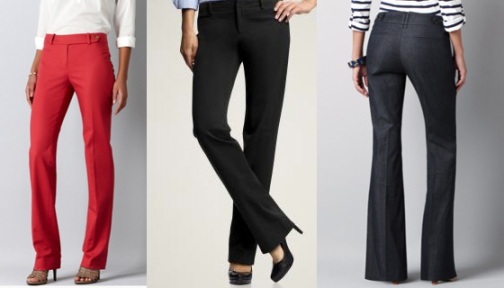 Straight cut pants: if used with heels, long one must reach 1 inch (2.5 cm) above the ground or in the middle of the heel. If you want to use them with prettily shoes for example, dancers’ type, length must be 2 inches above the ground. Wide leg pants: These pants can go more close to the floor (1 cm above ground), always avoiding crawl. They look great with platforms, but if you don’t want to wear high-heeled shoes, you can do it also with planes. However if you are very short you can choose high shoes, as this style of pants as it is open at the end, makes your leg look shorter and obviously you’ll look short.